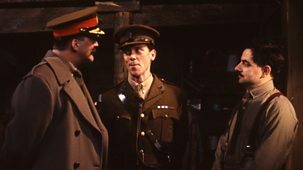 Melchett orders Blackadder to unmask a spy working in the hospital where George is recovering from a bomb blast. 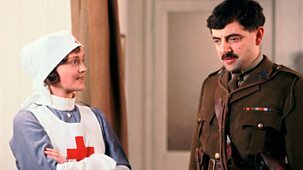 Edmund sets to work, interrogating Darling, seducing a nurse and asking Baldrick to keep an eye on a patient with a pronounced German accent. 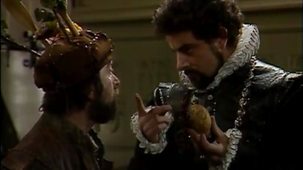 Comedy series set in Tudor England. 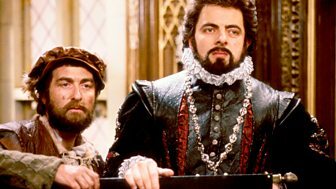 There are problems in the Blackadder household due to an embarrassing incident with a turnip, an ostrich feather and a puritanical fat aunt. 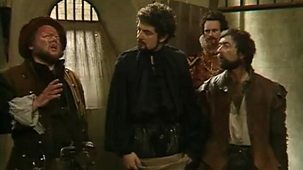 Sitcom set in Tudor England. 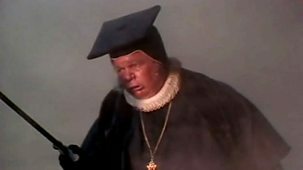 Edmund is in trouble when he is visited by a debt-collecting bishop armed with a red-hot poker. 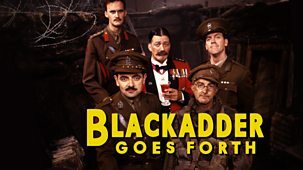 Historical sitcom set in Tudor England. To keep up with Sir Walter Raleigh, Edmund announces he will navigate the treacherous waters of the Cape of Good Hope. 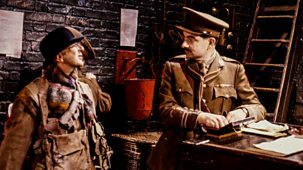 Sitcom set in the trenches of the First World War. 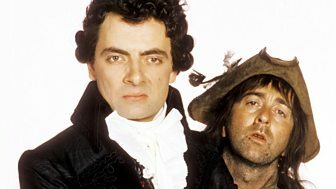 When Blackadder, George and Baldrick are told they are going over the top the next day, Blackadder decides to feign madness. 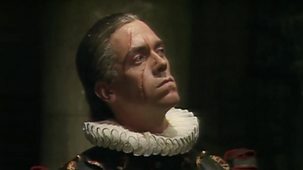 The prince is challenged to a duel by the fearsome Duke of Wellington. 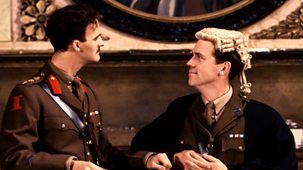 Edmund volunteers to take his place, hoping that his cousin MacAdder will step in for him. Seasonal comedy special. Christmas Eve, 1850. 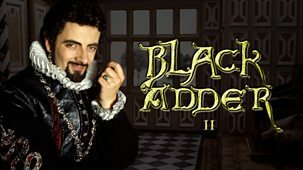 Ebenezer Blackadder is a decent, kind, generous human being - until his loathsome ancestors pay him a visit.